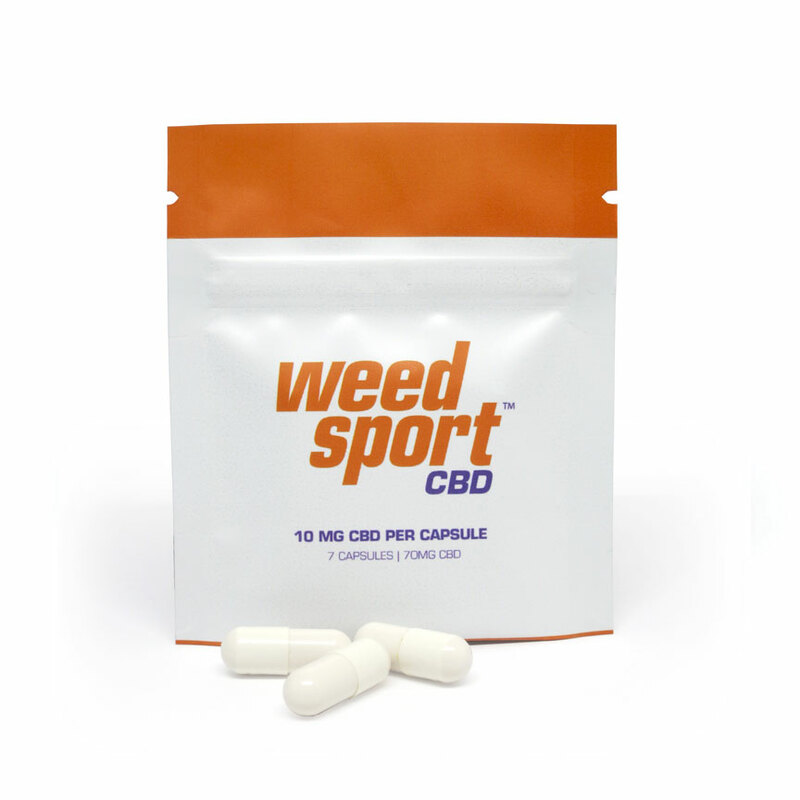 Weed Sport™ CBD Capsules are non-psychoactive and formulated to maximize relaxation and recovery in the body and mind. By combining full spectrum hemp extract with the organic terpenes d-limonene, beta-caryophyllene, and myrcene, our capsules provide relief morning, noon, and night. Each capsule is vegan and contains approximately 10mg CBD. Ingredients: Full Spectrum Hemp Oil, Rice flour, Silicon Dioxide, Fractionated Coconut Oil, Organic D-Limonene, Organic Myrcene, Beta-caryophyllene.